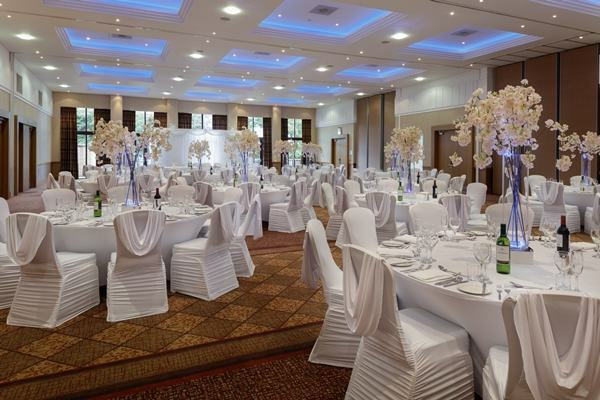 DoubleTree by Hilton Glasgow Westerwood Spa and Golf Resort weddings, view this stunning wedding venue in Scotland, including photos, wedding offers, reviews and fayres. 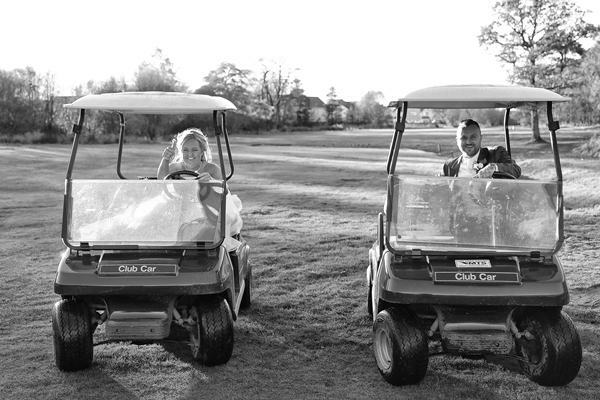 Set amongst stunning wooded countryside overlooked by the beautiful Kilsyth and Campsie Hills, we have over 400 acres of grounds for your wedding day that you can explore on one of our golf buggies , whether you would like a summer sun set over the hills or a crisp winter’s day, our surroundings are the perfect setting for your special day. You will have a dedicated and committed wedding planner who will be with you every step of the way helping you create a truly memorable day. 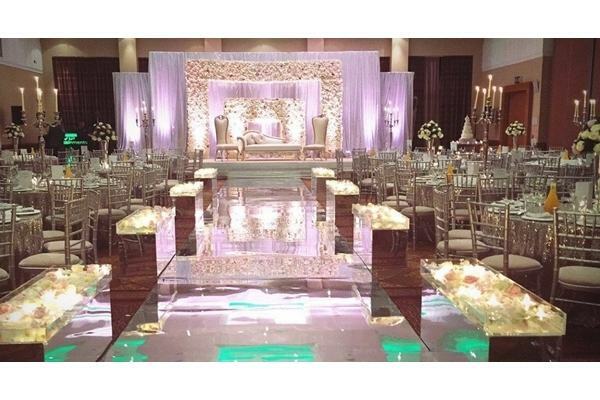 We understand that every couple’s day is different, and with the help of our team, we will make our venue yours. We want you to cherish every moment, and as the celebrations have already begun, let us give you the chance to enjoy it and take the stress out of planning. 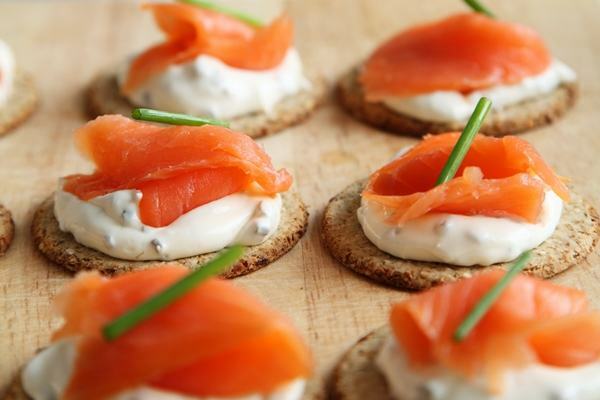 Your day will be a memorable occasion and no matter the number of guests, we will make sure. Our experienced wedding co-ordinators will help you turn your dreams into reality. 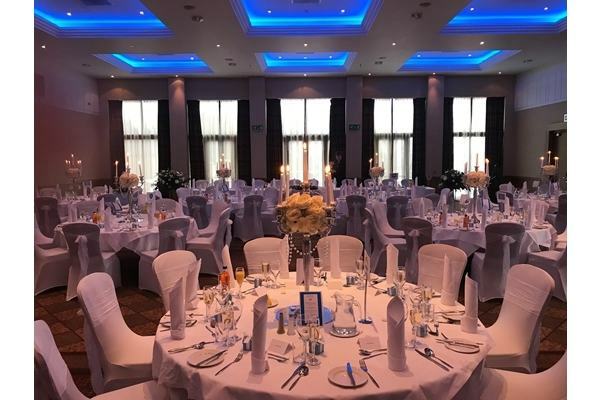 They will be by your side to help you plan every little detail of your wedding at the DoubleTree by Hilton Glasgow Westerwood Spa and Golf Resort - so that your day doesn't just meet your expectations… it far exceeds them. 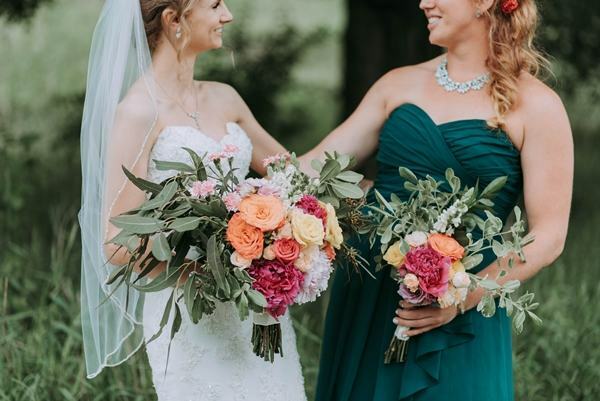 They will take care of everything, from organising florists to pouring celebratory drinks during toasts, so you can relax before and during your wedding, confident that they have everything in hand. They will live and breathe your wedding with you. 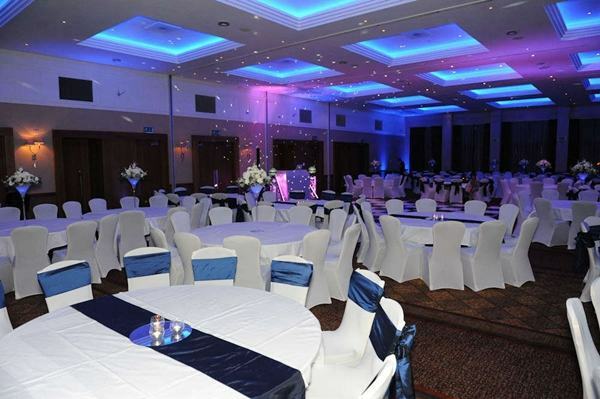 The DoubleTree by Hilton Glasgow Westerwood Spa and Golf Resort is the perfect setting for a dream wedding. 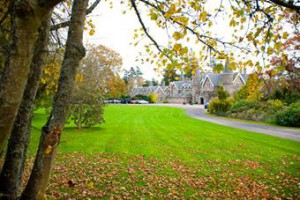 Surrounded by the best landscapes Scotland has to offer, our hotel is set in the heart of 400 acres of expertly-manicured gardens. 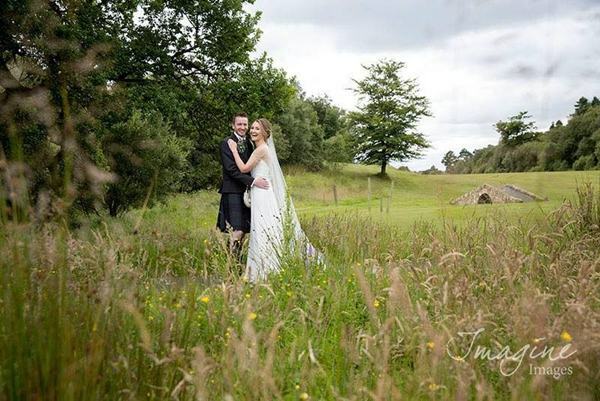 The DoubleTree by Hilton Glasgow Westerwood Spa and Golf Resort looks over the stunning Kilsyth and Campsie Hills, a perfectly romantic backdrop to your wedding photographs. With many of our rooms featuring gorgeous views across this incredible scenery, you and your guests can be guaranteed a wedding to remember. We pride ourselves on having strong links with supremely talented local wedding suppliers. We only work with the best. 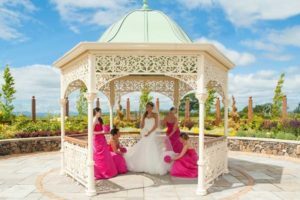 So if you are looking for a brilliant photographer, florist, hairdresser, entertainer, DJ – or any other service that will add that special something to your day… we can help. 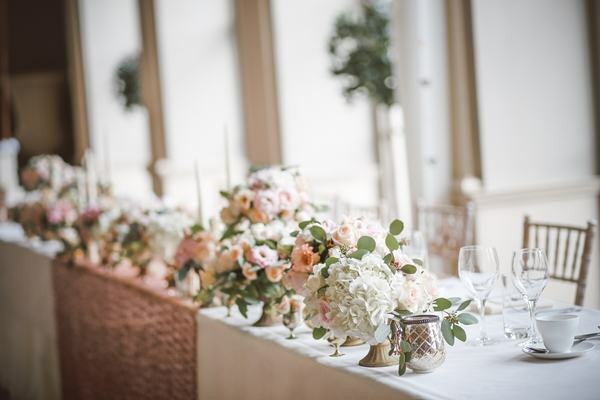 Our wedding co-ordinators will work with you to bring all arrangements and personal touches together, seamlessly creating a magical day that’s uniquely ‘you’. This bright, modern room has everything you need for an exclusive wedding. Perfect for large wedding parties, The Carrick Suite includes a dedicated foyer for a sparkling drinks reception and private bar where you and your guests can relax. 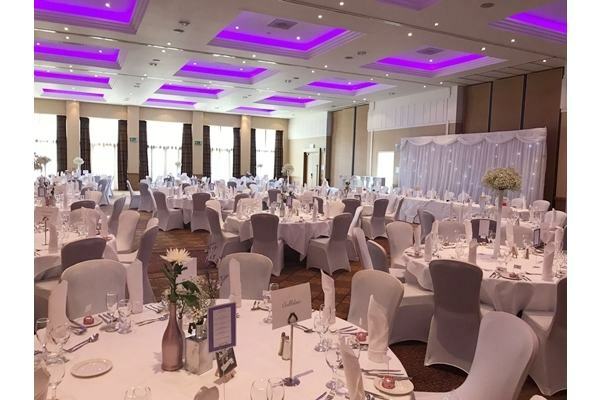 Licensed for ceremonies, evening receptions and wedding breakfasts for up to 320, this stylish suite has plenty of room for all your friends and family to dance the night away. If you are looking for a relaxing spa break, spa day or spa treatment near Glasgow, the team at The DoubleTree by Hilton Glasgow Westerwood Spa and Golf Resort is skilled in the art of relaxation. From a soothing facial to the gentle easing of muscles with an all over body massage, the tranquility and calm encapsulated in our spa will ensure your body and mind are transported to a state of total well being. Our spa, which is home to a fabulous health club, 6 spa treatment rooms, a relaxation room, indoor swimming pool, jacuzzi, sauna and steam room, is open seven days a week & until 8pm on a weekday! 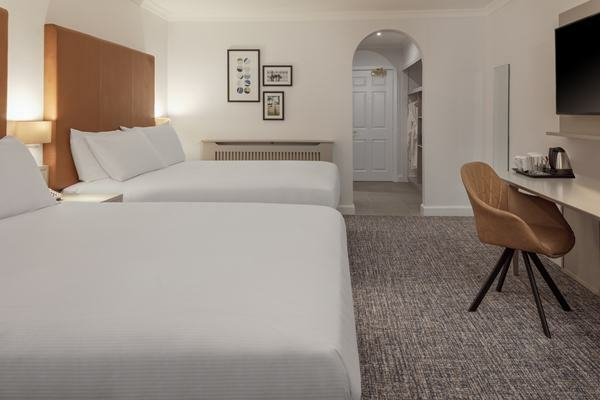 At The DoubleTree by Hilton Glasgow Westerwood Spa and Golf Resort we have 148 spacious and sumptuous bedrooms. 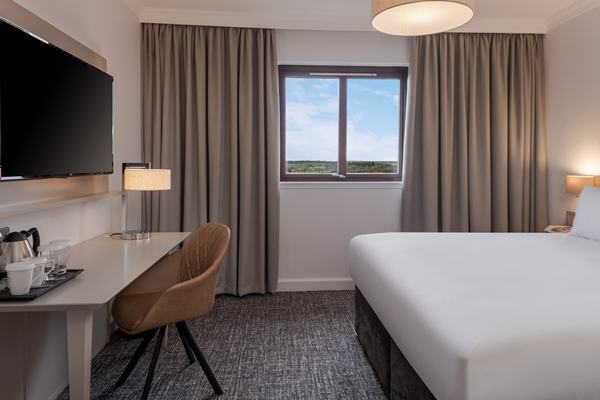 Many offer fantastic views over the golf course and whether travelling on business or pleasure, each room provides all you need for a comfortable stay including comfy duvets, freeview and pay for movies, free internet usage and a tantalising room service menu. Join the M74 and take the M73, following signs for Stirling. Join the M80 following signs to Stirling. Take junction 6 signposted for Cumbernauld and Castlecary. At the roundabout take the first exit. At the next roundabout take the right hand turn into St Andrews Drive. Follow signs for the M9. Join the motorway and follow signs for Glasgow until you reach the Glasgow/Carlisle exit on the M876. The road joins the M80 towards Glasgow. Taking junction 6 signposted Cumbernauld and Castlecary, keep in the right-hand lane. At the traffic lights take a right. At the roundabout take the second exit and at the next roundabout take the right hand exit to St Andrew's Drive. Exit the M80 and take the exit towards Eastfield/Warpark/Dullatur. Keep right at the fork, follow signs for Castlecary/B816. Turn right onto A8011. At Old Inns Roundabout, take the 2nd exit onto Eastfield Rd. Turn left to stay on Eastfield Rd. At the roundabout, take the 3rd exit onto St. Andrews Drive and the hotel will be on your right. Cumbernauld Airfield is situated 2 miles from The DoubleTree by Hilton Glasgow Westerwood Spa and Golf Resort. 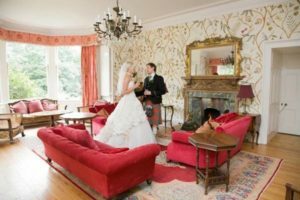 "The DoubleTree by Hilton Glasgow Westerwood Spa and Golf Resort was on our venue shortlist and we are so glad that we decided on the Westerwood as they were pivotal in making our day so special and memorable. On the run up to the wedding our co-ordinator Fiona was very helpful and supportive and we know we could rely on her due to the 20 years experience in her role at the hotel. On the big day itself, Jordan, Dean and the team were attentive and very professional but also down to earth and put us at ease with all the days proceedings. We had an absolute ball and I felt like the content, relaxed and carefree bride I wanted to be. I'd like to thank the Westerwood Hotel for all their hard work in making our day go so smoothly and making us feel like the two most important people in the world. 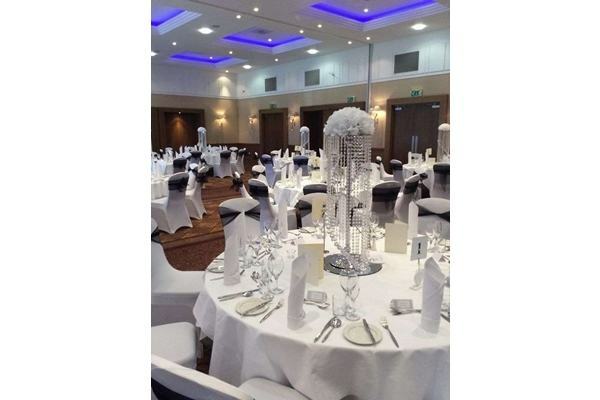 I couldn't recommend this hotel highly enough for a wedding or other big event." 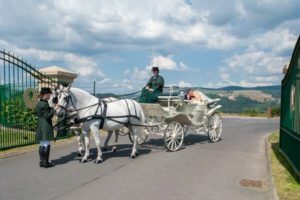 “Myself and my fiancé, Annabel, have chosen your Hotel to host and celebrate our marriage next October and we would both like to take this opportunity to show our gratitude of how impressed we were with the level of service that your colleague Fiona White provided and continues to provide for us. 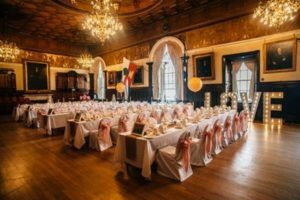 We had been in contact with quite a few venues around the Glasgow area, some of which were offering cheaper alternatives and better deals, however our decision to go with yourselves on this important day was solely down to the efforts of Fiona. She was courteous and extremely prompt in responding to all our mails and queries and has made every effort to accommodate us and our requirements. She has made us feel that all we need to do is turn up and enjoy the day and I cannot stress how much that it is appreciated. 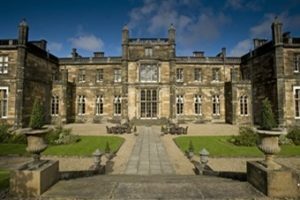 It is rare that someone impresses me so much that I feel obliged to write and comment, but Fiona has met and exceeded all our possible expectations and as I say it is down to her efforts that we are having our wedding at Westerwood and we cannot thank her enough for her efforts in making things so easy for us. Her customer service is, in a word, exceptional, both myself and Annabel work in a customer focussed environment and we're so delighted with how Fiona has presented herself. It is a privilege to talk and work with her and she should be considered a huge asset to your company. 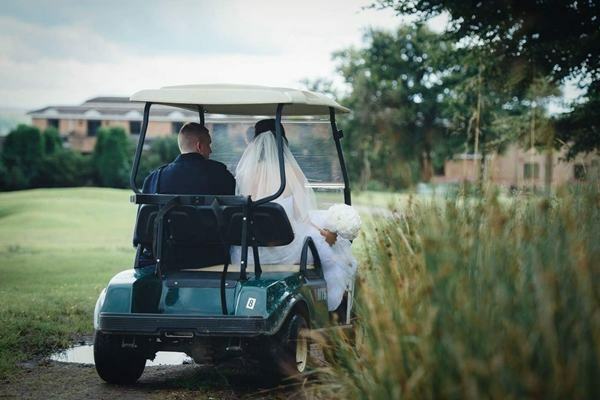 "Perfect", "amazing", "excellent", "service was second to none" "cannot fault" are just some of the words we heard during the day and the days that followed our wedding at the DoubleTree by Hilton Glasgow Westerwood Spa and Golf Resort. 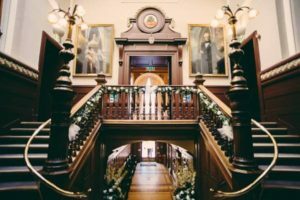 We knew we were onto a winner when we initially met with Fiona, the Events Manager and the first thing she said to us was "what kind of wedding do you want?" This took us aback and was very welcoming after having been told by other venues what we were getting. 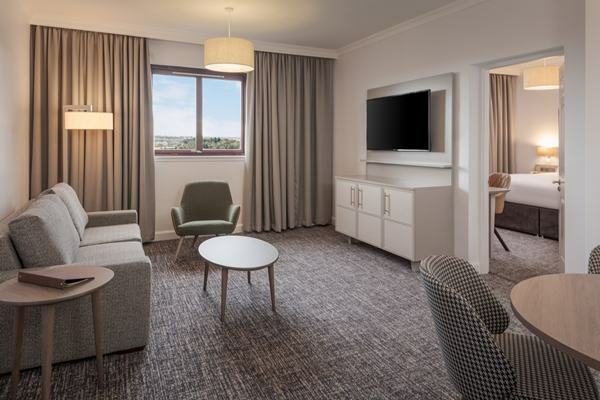 From that initial meeting through to the big day itself we only have the highest praise for Fiona and the team at the DoubleTree by Hilton Glasgow Westerwood Spa and Golf Resort. Our update meetings were very relaxed and at the same time informative; any information supplied and given was clear and concise and always backed up with an email/written confirmation. We thoroughly enjoyed the menu tasting evening, we could say with confidence to our guests that we have tasted the meal they were about to be served and they would not be disappointed. Resounding comments from our guests testify this - the meal was superb. The planning and organisation was seamless and this was evident throughout the day; everything was timed to perfection from the minute we arrived right through to the evening reception. Without a shadow of doubt we had a perfect wedding and this even carried on to the following day. We had a lot of friends and family who stayed overnight and staff who were on hand over the 2 days made, not only us, but our guests feel welcome and relaxed. A lot of our guests had never visited the Westerwood Hotel before and you certainly left a lasting impression on all of them. We cannot thank you enough for making our special day, perfect and memorable." 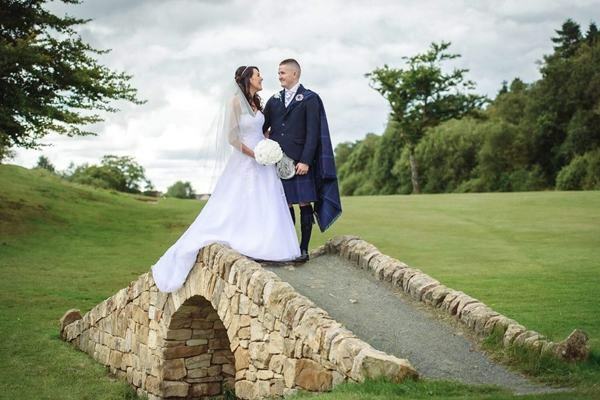 "I booked my wedding with the DoubleTree by Hilton Glasgow Westerwood Spa and Golf Resort initially due to the friendly service I received from Fiona the wedding co-ordinator, and the flexibility with menu choices and options to offer our guests. The service I received from booking was second to none, Fiona answered all my enquires quickly. Fiona was really friendly and the meetings we had were always enjoyable. I checked into the hotel the night before my wedding and all the staff were great, I met Jordan who ran through some things with me and put my mind at ease. 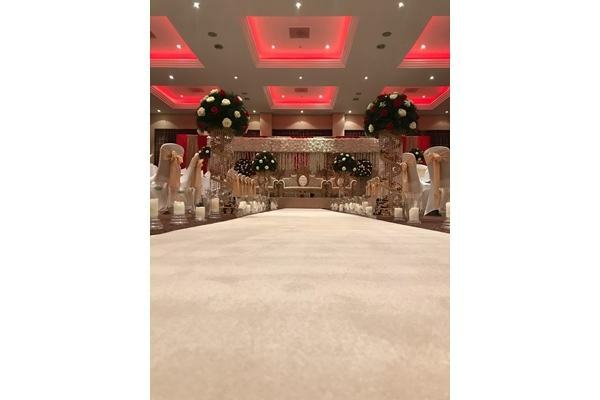 The wedding day itself was amazing, I couldn’t believe just how good the rooms looked set up, and the way the room was turned around and transformed for the evening, It was really spectacular. The staff were really attentive to all my guests, and for the 70+ guests staying in the hotel, everybody was really happy with their rooms & service. Throughout the day Jordan ensured I had a drink in my hand at all times, he really went above and beyond ensuring my experience exceeded my expectations. The food was excellent, everything ran on time, and on the day I didn’t have one single thing to worry about, all my gifts were taken up to my room, and the staff were just so lovely all day. I had a really great experience from booking to the day I checked out of the hotel. Fiona and Jordan are a credit to the hotel. We're looking forward to returning to the hotel again soon. I only wish I had another wedding to plan!" 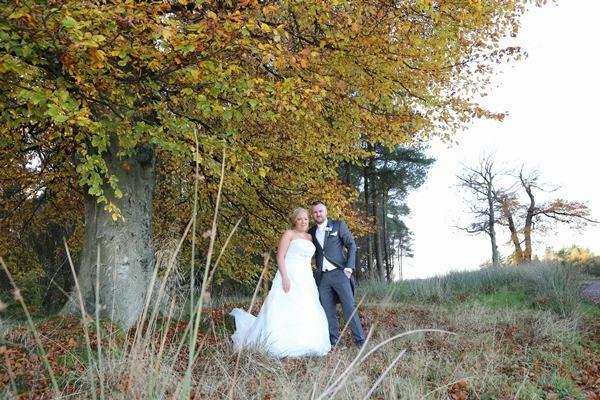 "I would like to thank the staff at the Westerwood for making our special day go so smoothly. Fiona was a great help arranging the day. I would also really like to put forward my gratitude for you being able to change the date of my wedding as I was initially due to be married in August 2015 but I became aware I was pregnant in January 2015 and you were able to bring the date forward to accommodate. Jordan was great on the day of the wedding, making sure everything ran smoothly. He also checked on me regularly to make sure I was ok and if I needed anything. I would highly recommend you to anyone I know who is getting married." 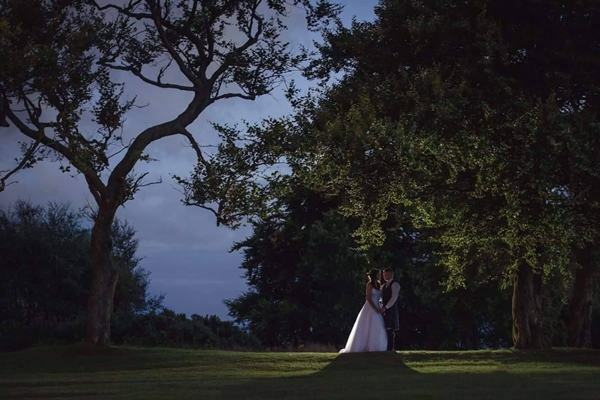 "My wedding day was fantastic and I would like to say a big thank you to The DoubleTree by Hilton Glasgow Westerwood Spa and Golf Resort and in particular, Fiona who from the first day of meeting was a huge help in planning my day. Fiona has a great deal of knowledge and expertise and provided fantastic recommendations and ensured my big day was a great success from planning the menu through to organising the DJ! She couldn’t have shown better customer service and is a professional at what she does. A huge thank you to Fiona and her team for ensuring my wedding day was amazing. The food and hospitality was also 5 star and every one of my guests commented on the quality of the food which was of a very high standard. 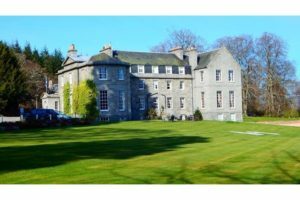 I would have no hesitation in recommending the Hotel as a wedding venue; the professionalism, teamwork, location, facilities and catering were fantastic. A big thank you to all involved."